It's never too early to start making plans for the next holiday season. Research shows that most many vacationers start searching in January and February to find the perfect spot. Holiday vacations offer a great chance to reconnect with your family, relax at a spa and try new activities. The most popular summer holidays include Memorial Day at the start of the summer season, 4th of July and Labor Day at the end of the summer. Thanksgiving, Christmas and Easter trips let you enjoy the holidays in a warmer climate or at a mountain resort. 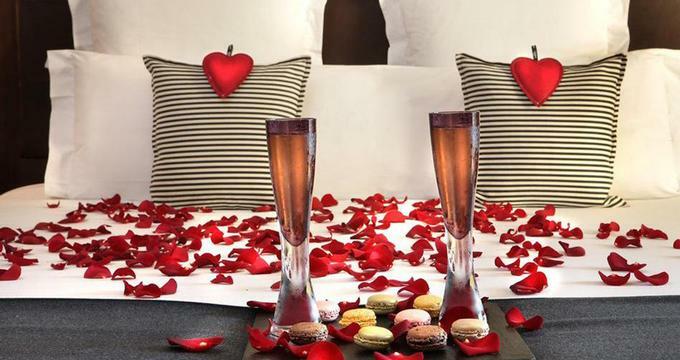 In February, Valentine's Day and Presidents Day offer an opportunity to get away for a quick weekend of relaxation and rejuvenation during the winter. Birthday travel and anniversaries are also a popular time to get away. Plan a romantic holiday weekend at Columbus Monte-Carlo overlooking the Mediterranean sea and the Princess Grace Rose garden. Guests at the hotel have access to a fitness center and an art deco outdoor pool. The hotel restaurant and the Cocktail Bar attract tourists and locals alike. There are 181 bedrooms and suites, some with balconies overlooking the sea. Guest rooms are furnished in contemporary style with lavender grey and beige colors, Italian furniture, and black and white photos from the 1930s. The hotel offers 24 hour room service and non-smoking floors. Columbus Brasserie, the hotel restaurant, serves informal Mediterranean cuisine. The restaurant offers both indoor and outdoor seating, and is open for breakfast, lunch and dinner. The hotel bar is known for its Martini Cocktails and its trendy decor. Columbus is about 6 minutes from Nice International Airport by helicopter, and about 30 minutes by car. Regular room rates start at Euro 245. If you are planning a vacation to Monaco during the low season in the winter, check the web site for specials (+377-92-059222). Paradisus Palma Real Resort in the Dominican Republic is a luxury Caribbean getaway offering championship golf, seven restaurants and several pools. This all-suite luxury beach vacation getaway has a sandy beach, five tennis courts, a casino, and a full service spa. For families, the resort offers a kids' program, kids pool with water slides and toddler pool. Choose from 496 oversized Suites, including 102 Royal Service Suites and two Presidential Beachfront Suites. The resort offers many vacation activities, including wine tasting, dance classes, painting, photography, kayaking and diving. Dining options include five a la carte restaurants and two poolside buffet restaurants offering contemporary world cuisine and nine bars. There is also nightly entertainment. A visit to YHI Spa is a must, especially on a romantic getaway or honeymoon. Enjoy a massage, relax in the sauna, practice yoga and unwind in the Zen garden. Take a guided meditation class to quiet your mind. 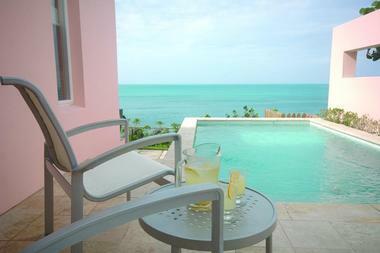 Suites start from $438 USD per night (809-688-5000). At the Royal Crescent Hotel you can relax at the spa, and tour Bath and the surrounding English countryside on your luxury spa vacation. Built around hot mineral springs, the City of Bath has been one of the top fashionable leisure destinations in Britain for centuries. 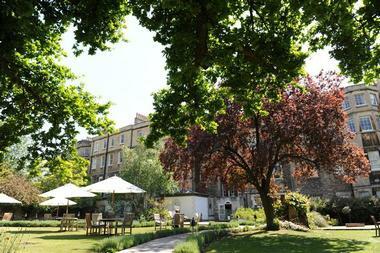 The Royal Crescent hotel, completed in the 18th century, is a unique collection of houses set in an elliptical shape around beautiful gardens. The hotel has 45 individually decorated rooms and suites, some with wood-burning fireplaces, high ceilings, 17th century four poster beds and private terraces. Guest rooms have been restored with authentic period carpets, furnishings and fabrics. A collection of eighteenth century paintings and contemporary portraits of notable personalities who visited Bath can be found throughout the hotel. The hotel suites are named after famous people such as Jane Austen, Sir Percy Blakeney and Ralph Allen. The Bath House, nestled within the gardens, features a 12-meter relaxation pool, steam and sauna Karahafus, and cool and tepid plunge tubs. Choose from a selection of unique treatments to try on your luxury spa vacation. Be sure to visit the Pavilion Conservatory, the Library, and take a walk through the hotel's secluded gardens. Pimpernel's restaurant serves contemporary British foods with influences from the Mediterranean and the Far East. The restaurant can put together a picnic basket which you can take with your on a trip to the English countryside. The City of Bath is located 1 hour and 20 minutes from London by train or by car. Doubles start at GBP 185 per night (+44-1225-823333). 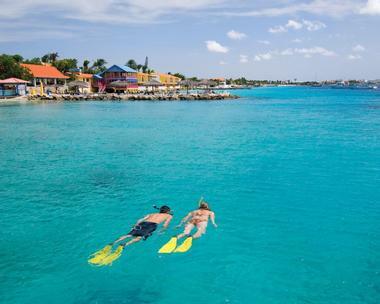 The Divi Flamingo Beach Resort, located on the Caribbean island of Bonaire, offers guests spacious rooms, views of the Caribbean Sea, and Divi Dive Bonaire - a PADI five star dive operation with custom dive boats. 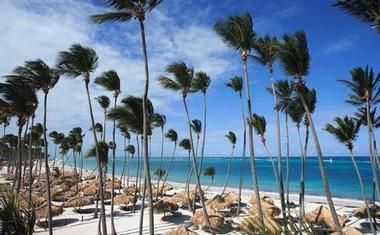 The resort is an affordable scuba diving vacation destination. Activities at the resort include a casual casino with gaming tables and slot machines, snorkeling, mountain biking, mangrove kayaking, sunset dinner cruise, and big game fishing can also be arranged. But the main reason to check into this unique resort is scuba diving. Divi Dive Bonaire runs daily boat dives to Bonaire's best reefs, and provides dive training and certification. The hotel offers studio, standard, superior, and deluxe guestrooms. Deluxe rooms are oceanfront with full ocean views and private balconies. Superior rooms have views of the pool or partial ocean views and standard rooms offer tropical garden views. Rooms have one or two double beds, color television, air-conditioning, and in room safe. There are two dining options: the Chibi Chi Restaurnat and the Calabas Restaurant. The Chibi Chibi restaurant serves lunch and dinner daily and you can watch the fish swim right below you while you eat. The Calabas Restaurant serves a casual beach-side buffet breakfast daily. Bonaire is a 2-hour and 40 minute flight from Miami. On Bonaire there is no public transportation except taxis. There is a Hertz car rental counter at the resort. The resort is five minutes from the airport. Rooms start from $125 per night. Meal plans are also available and can be purchased with your reservation (800-367-3484, 011-599-717-8285). 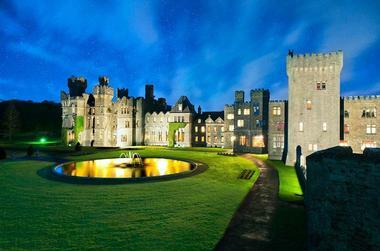 Ashford Castle is a romantic getaway in Ireland, offering luxury accommodations and a choice of activities. Each guest room and suite is individually decorated with classical furnishings. Choose from several dining options, including George V restaurant, Connaught, Drawing Room and Cullens. Vacation activities at the hotel include scenic golf, fishing, falconry, lake cruising, horseback riding and archery. Visit in the summer or in the winter for an array of outdoor adventures. Hotel La Perla is surrounded by the beautiful Alps in the Dolomiti region of Italy. 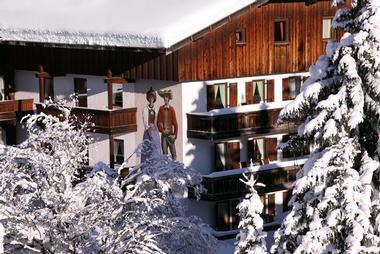 Guests are accommodated in individually decorated guests rooms with a cozy Tyrolean feel. There is warm wooden furniture with soothing, neutral colors. The Comfort layout has a sitting corner where you can have a romantic breakfast in the morning. The Romantic rooms are the largest at the hotel, featuring handmade woolen rugs and German style duvets. Guest accommodations have unique touches - on their return visit many guests ask for the same one. Number 241 has a romantic style four-poster bed, while number 209 features a small wooden rocking horse that reminds you of your childhood. The property offers gourmet cuisine and a wellness center, complete with a beautiful indoor swimming pool. Summer activities include mountain biking and hiking the surrounding mountains. Special events, such as food events, are often offered at the hotel, so be sure to check the schedule on their web site. Rates start at 212 Euro per night (+39 0471 83 10 0). Kings Canyon Resort is a great adventure travel idea and the perfect base from which to explore the beauty of the Australian outback. The resort is located off the main highway between Alice Springs and Ayers Rock, only seven kilometers from the Watarrka National Park which is the home of the magical sandstone formation of Kings Canyon. 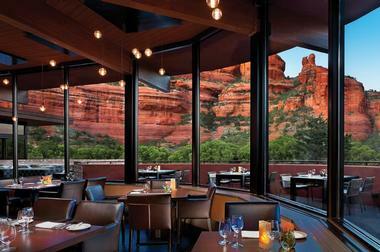 Explore the canyon by day return to the resort at night and enjoy a romantic dinner under the stars. The resort offers three types of accommodations: Deluxe Spa Rooms, Standard Rooms, and Campground and Budget Lodge Rooms. The best feature of the spa rooms is the oversized spa bath with a glass window providing uninterrupted range views. The standard rooms are spacious and have basic room amenities. The budget rooms are significantly cheaper but they have shared bathroom facilities. Carmichael's Restaurant, open for breakfast and dinner, serves large buffet-style meals. Sounds of Firelight is a romantic dinner setting under the stars with no more than ten couples dining at one time. For your own supplies you can get food and groceries at the General Store on your adventure vacation. 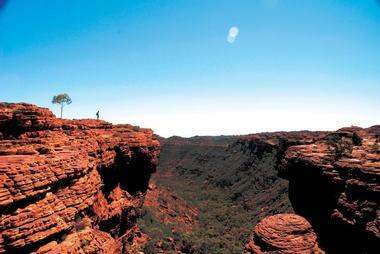 Helicopter, camel, or quad bike tours of the canyon are all available nearby. There are daily flights from most major Australian cities to Alice Springs Airport. The resort can arrange a car rental at the airport. Rates for standard rooms start at $168 AUD per person based on twin share; deluxe rooms start at $210.50 AUD per person. The budget double twin rooms start at $50 AUD per person (+612-8296-8010). Check into the elegant Hôtel Quintessence with spectacular views of Lake Tremblant, Canada for a weekend of pampering and rejuvenation in a calm, natural setting. 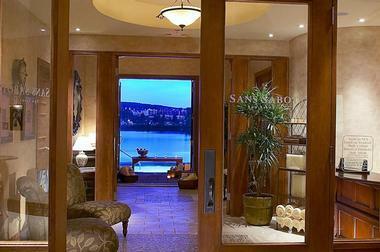 The hotel has 30 luxury suites, a gourmet restaurant and a full-service spa overlooking the mountain lake. Relax next to the infinity pool, in the large lakeview whirlpool, the steam room and sauna at Spa Sans Sabots. The spa has two treatment rooms where you can choose from a diverse menu of spa services. Since each guest suite measures from 700 to 1,200 square feet in size, guests can receive treatments in the privacy of their own suite, next to the fireplace. 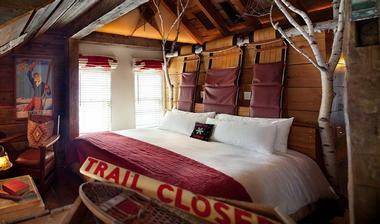 Each romantic suite has a king-size bed and a cozy fireplace. Ask for a balcony or terrace with views of the water. The deep spa bathtub is perfect for taking long luxurious baths on your spa trip. Bathrooms have Aveda amenities. The restaurant serves fine French cuisine indoors, on the terrace, at the Chef's Table and in the Winebar. The hotel provides its guests with an intimate experience, offering attentive service and upscale amenities. Guests receive accompanied private check-in, concierge services to help them plan the best activities in the area, wood concierge for the fireplace, storage service for skis, bikes and golf clubs. Mont-Tremblant is 90 minutes north of Montreal, making the hotel a great weekend getaway from the city. Room rates start at 350 CAD per night (866 425-3400, 819-425-3400). 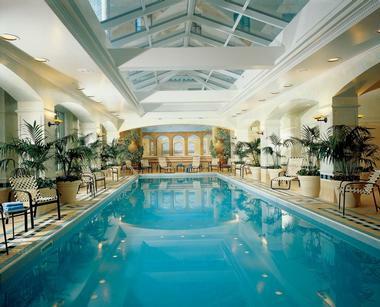 The Fairmont Royal York in Toronto is one of Canada's grand city escapes. As you walk through the hotel lobby, you will be surrounded by opulent furnishings, crystal chandeliers and beautiful hand-painted ceilings. The hotel has 1,365 guest rooms and suites. When booking a room, ask for one of the Fairmont View rooms which are located on higher floors with a south facing view towards Lake Ontario and the harbor. The health club, open seven days a week, has an indoor lap pool, children's pool, saunas and steam rooms. The hotel fitness center is equipped with free weights and cardiovascular machines. The hotel has five restaurants and four lounges. EPIC serves innovative dishes prepared from local ingredients with classic French touches. You should also try Benihana Japanese Steakhouse, or York's Deli & Bakery if you are in a hurry. In the evening, stop at the Library Bar which serves some of the best martinis in Toronto. Doubles start from $289 CND per night (416-368-9040). The Snake River Lodge & Spa, located in Jackson Hole, Wyoming, is a romantic adventure vacation getaway with a full-service spa and heated walkway access to the ski lifts of the Jackson Hole Ski Resort. The lodge has an indoor/outdoor heated pool with waterfalls, warmed walkways, and hot tubs surrounded by steam-filled caves. In summer, the lodge provides a good base for exploring Grand Teton National Park, the entrance to which is only a few miles down the road. There is an array of activities to choose from on your romantic vacation, including hiking, mountain biking, golf, wildlife watching, hot air balloon rides, fishing and float trips down Snake River. The town of Jackson, a 20-minute drive from the lodge, is home to numerous art galleries that sell paintings, pottery, and photography. There are 88 guest rooms and 46 luxury condominiums, decorated in elegant Western style. Sample regional specialties at the GameFish restaurant, or try one of the restaurants in Teton Village. Give your body a day or two to acclimate itself to the higher altitude in Jackson Hole before heading out on a strenuous hike or a mountain biking trip. 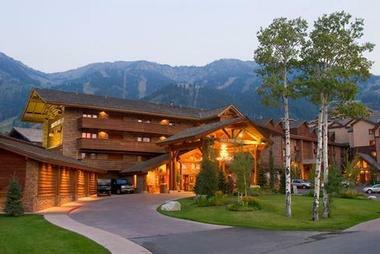 Fly to the Jackson Hole Airport where you can rent a car. The hotel is a 45-minute drive from the airport. Room rates start at $349 per night (866-975-ROCK). The Pitcher Inn is a classic romantic Vermont Inn with eleven distinctly different themed rooms and an intimate restaurant which seats only forty. Go in the fall and see the amazing fall foliage. The rooms are the highlight of this romantic inn. Choose whichever one of the eleven rooms best fits your taste. The School Room has a blackboard and chalk erasers with views of the garden. The Mountain Room has a separate Jacuzzi Tub and steam shower. The Lodge Room is the largest room in the main house and has a wood burning fireplace. The Pitcher Inn has a 6,500-bottle wine cellar which has a private dining table and can be used for private dinners if you are considering a family holiday celebration in Vermont. Spa treatments are available at the inn but must be made in advance. The room rates range from $330 to 660 per night. There are also packages available which include breakfast, afternoon tea, and a three course dinner daily. Cambridge Beaches in Bermuda has five private beaches, a spa and gourmet dining. New York City is just two hours by plane, making it a quick long weekend getaway destination. The cottage rooms at the resort are open and spacious, all with their own unique floorplan and furniture. Since the resort is right on the water all of the rooms are quite near the water. If you see yourself wanting to spend lots of time on your patio then get a room with a waterview. Otherwise take a gardenview room and head down to one of the beaches for a view of the water. If you are looking for a romantic moment, try spending 3 hours alone together on a private island. Cambridge Beaches can arrange for you to have a picnic meal on your own private island. A personal butler will deliver you to a small private island, set up your meal, and then leave you to enjoy three hours of a real romantic getaway. The picnic costs around $500 per couple, including a bottle of Dom Perignon champagne. 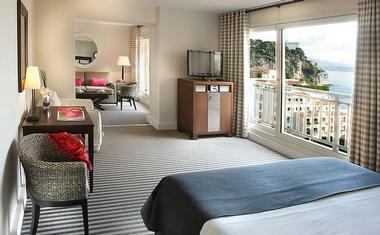 Standard gardenview rooms start at $375 for two people per night and includes breakfast and afternoon tea. Windswept, The two bedroom oceanview cottage starts at $1,380. The majestic red rock formations of Northern Arizona's Boynton Canyon are an impressive backdrop to any romantic getaway. At the Enchantment Resort, located five miles from Sedona, you can stay in luxury casita-style rooms, participate in any number of different activities, and have dinner at the Yavapai Restaurant while enjoying views of Boynton Canyon.The location and facilities of the Enchantment Resort allow you to have the option of how active you want to be on on your trip. If you are looking to melt away stress, you can relax by the pool or get a massage at Mii Amo Spa. When you are done relaxing you can hike, go mountain biking, or take a lesson at the resorts tennis center. If the sky is clear, try the narrated stargazing on either Friday or Saturday night. Guests can choose from luxury Casa suites, Hacienda Suites, Casita Suites and Casita Junior Suites. For a romantic vacation try the Casita Junior Suites. They have a bedroom with a living area and bathroom with a soaking tub and separate shower. Most importantly, there is a beehive fireplace for a romantic fire. The Enchantment Resort website has a section for "concierge requests" where you can send a message to the concierge and inquire about any special arrangements you may want. This is a helpful feature if you want to get things rolling on any special surprises you may want to arrange on your visit. The room rates start at $295 per night and go up from there. The Casita Junior Suites are between $395 and $495. Spend your Presidents Day weekend getaway on the beach, at a spa, romantic inn or plan a trip to a city. The all-suite Tides South Beach lets you experience the famous South Beach in Miami in a glamourous way. The hotel offers Personal Assistants who assist you during your stay, a new restaurant and stylish suites. Canyon Ranch is home to the largest spa in Florida, measuring 70,000 square feet in size. Charleston Place in South Carolina has an indoor and outdoor heated swimming pool, a full-service spa and a AAA Four-Diamond restaurant which serves delicious eats, especially during the holidays. The stylish oceanfront Land's End Inn in Provincetown, Massachussets is a quick drive from New York and Boston. Many hotels, resorts and inns offer special events and programs during the Thanksgiving holidays, including special holiday brunches and dinners, programs for couples and families. The Fairmont Chateau Whistler is a family friendly destination located in the mountains of British Columbia, Canada. The hotel has a spa offering signature Ayurvedic treatments, Thai massage, hot stone therapy, Shiatsu and water therapy. Summit Lodge Whistler is an all-suite hotel in Whistler Village, also offering a spa and a year-round heated outdoor pool. Plan your Thanksgiving getaway at Acqualina resort in Sunny Isles Beach, Florida where you can spend your days relaxing by the pools or on the beach while kids participate in the ocean-inspired children's program. Interactive programs let children learn and have fun while building a boat or studying about marine animals. If you are looking for a relaxing getaway, Rosewood Crescent Hotel in Texas has a 22,000-square-foot spa and an outdoor pool deck with aromatherapy tubs, whirlpools, cold plunge, sauna and steam room. If you are looking to play golf, there are many great golf resorts to choose from in California, Florida, Maui and other destinations. Mandarin Oriental, New York has a Macy's Thanksgiving Day Parade package which gives your a bird's eye view of the famous parade.